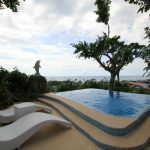 Villa Oceana sits atop a hill on the southern part of the island, accessible via the main road or the beach in Station 3. 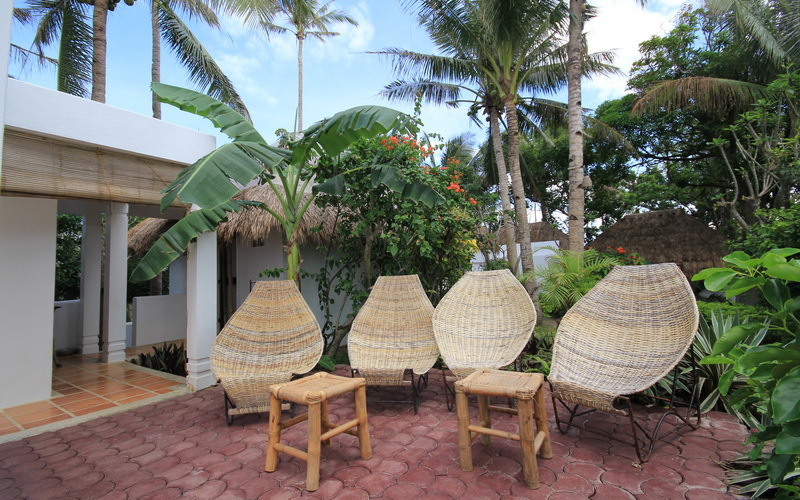 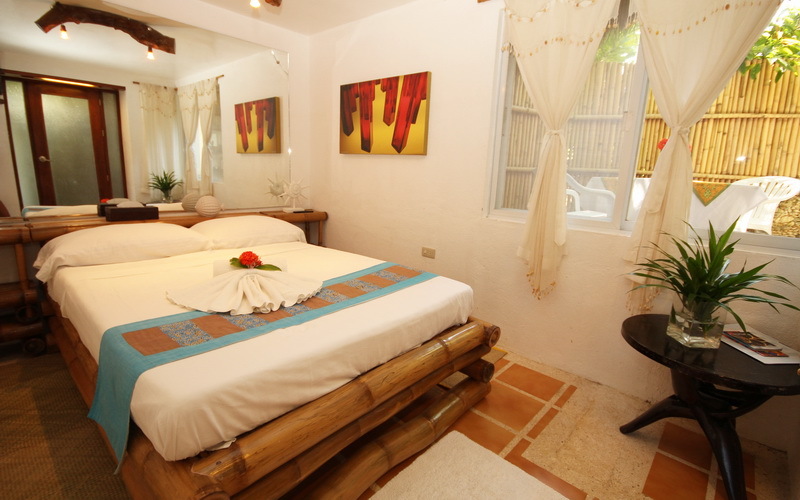 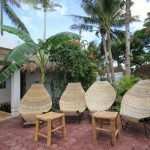 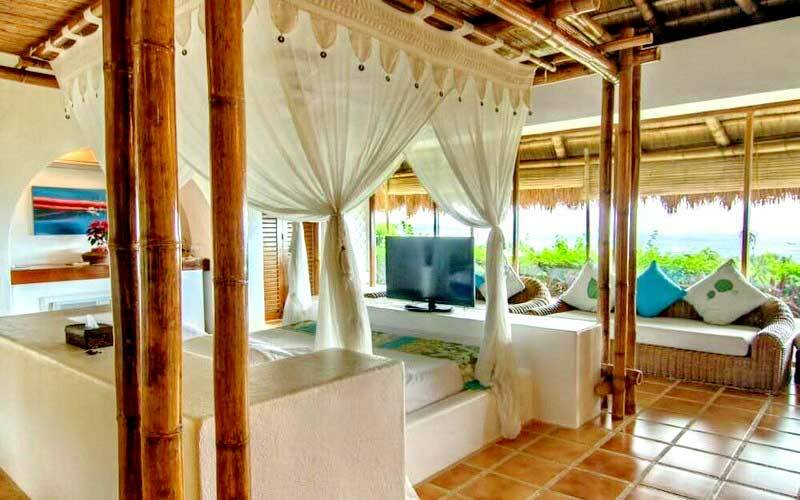 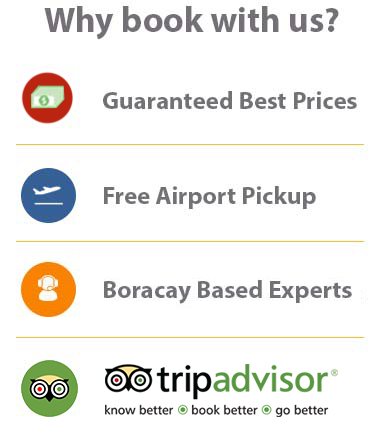 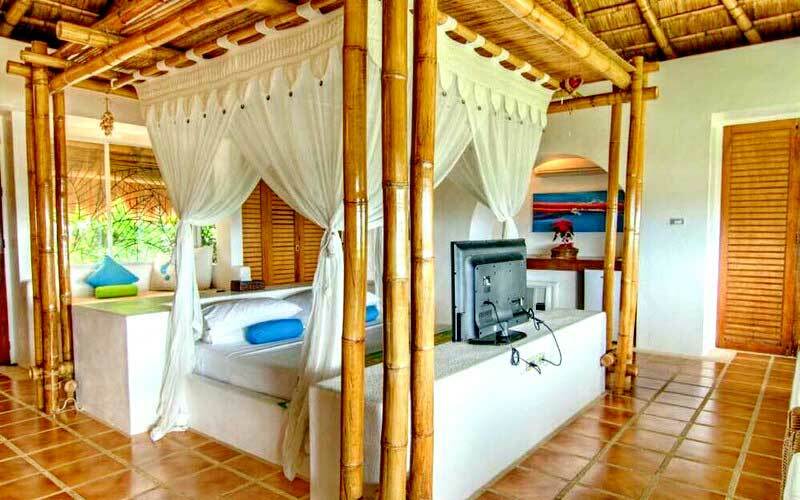 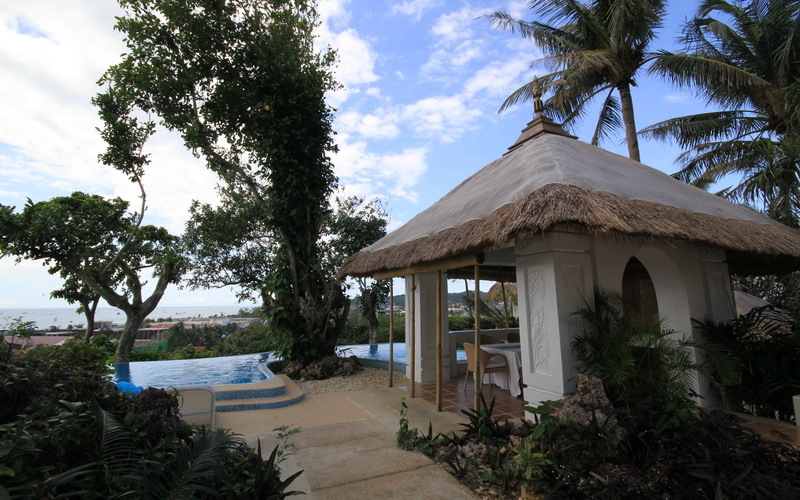 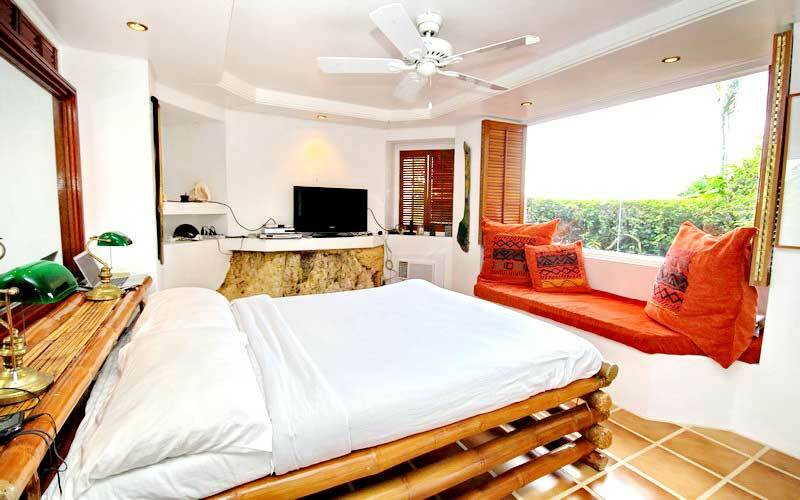 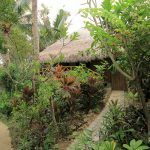 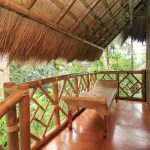 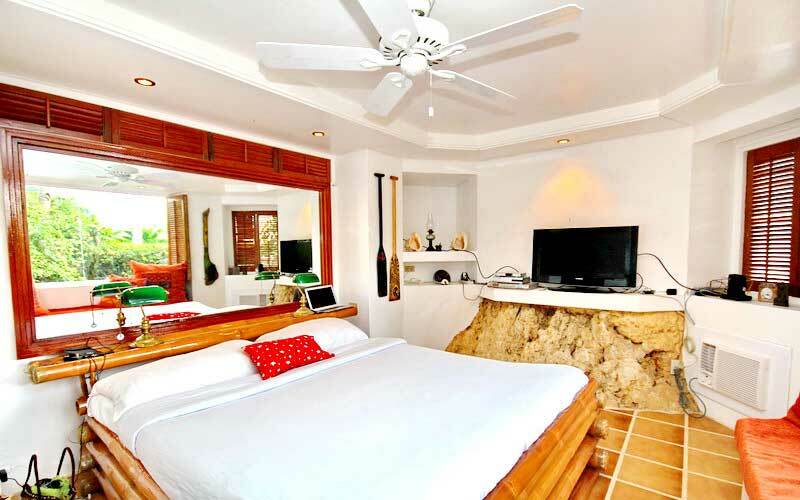 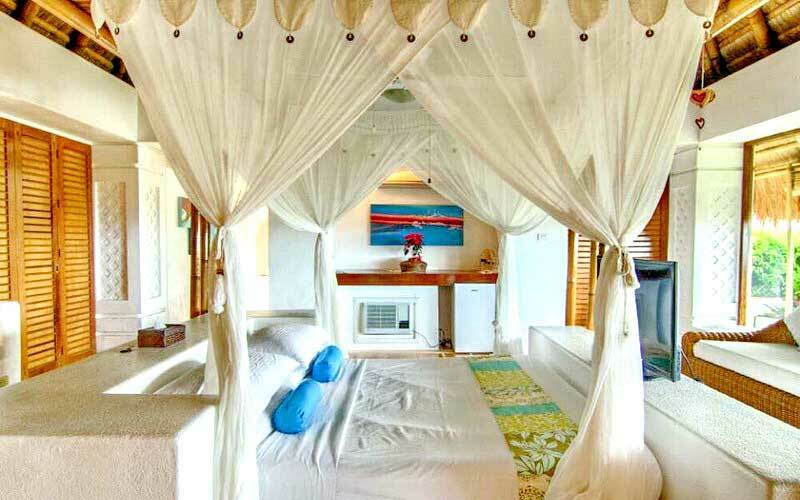 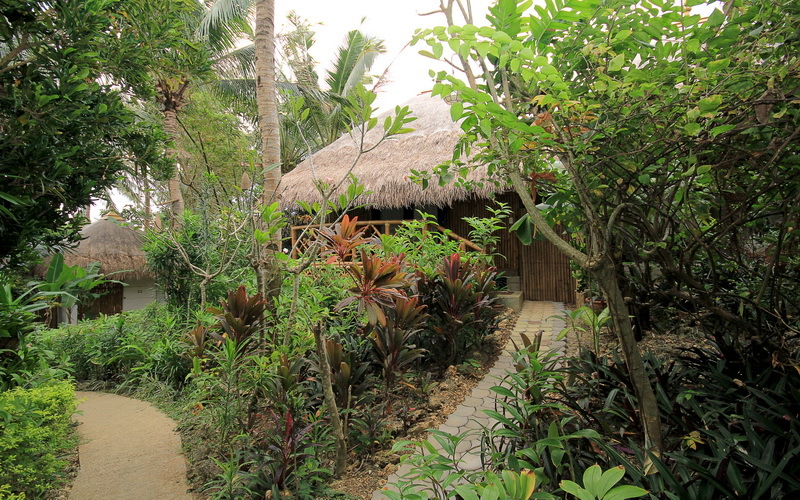 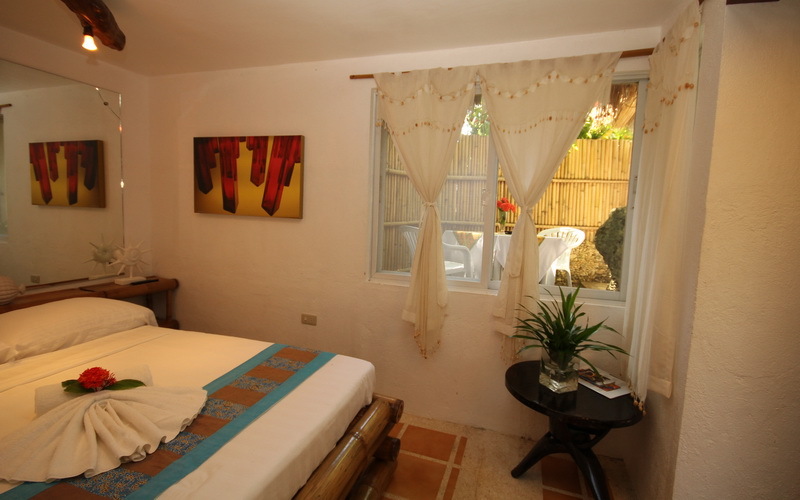 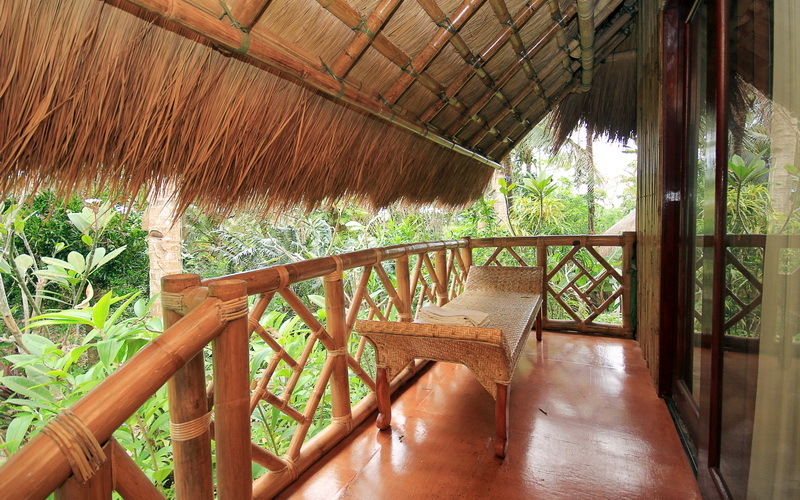 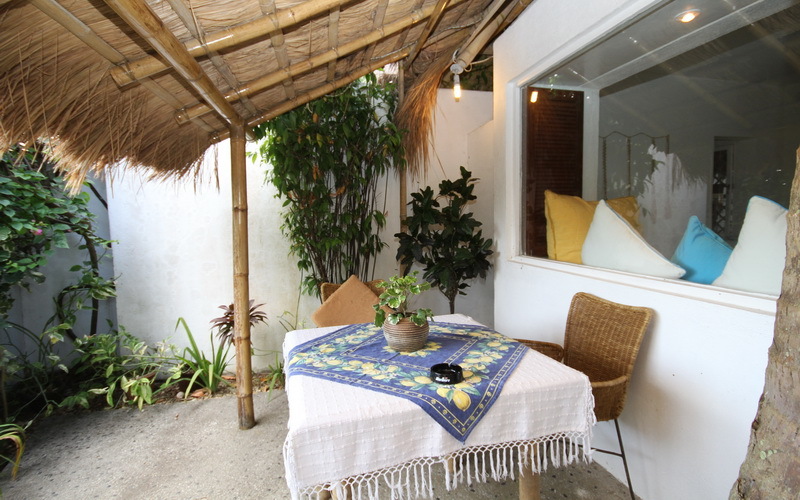 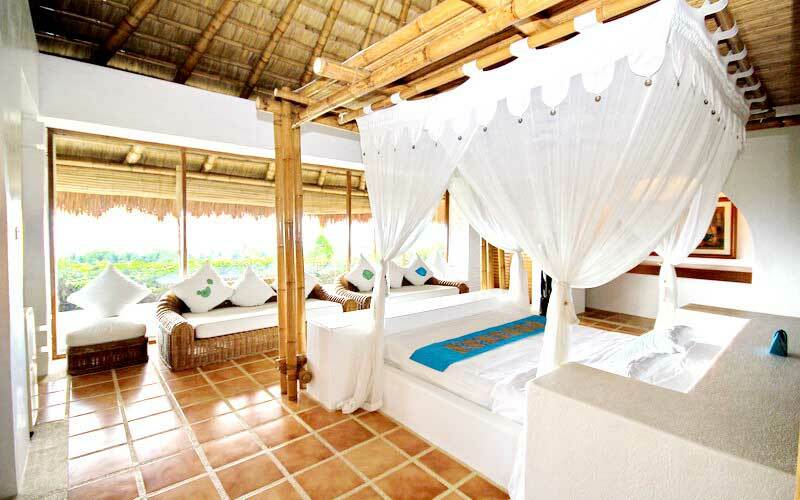 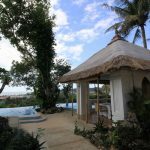 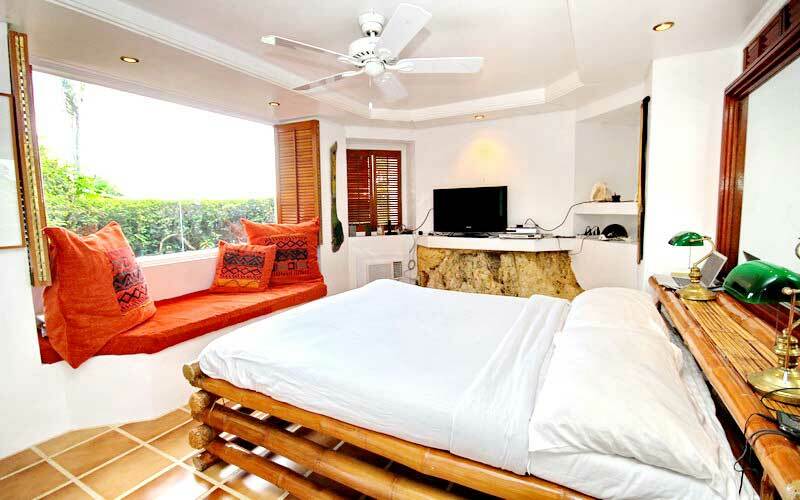 It is a sustainable green boutique hotel using indigenous Filipino arts, craft’s and materials, with a breathtaking panorama of the famous Boracay Sunset. 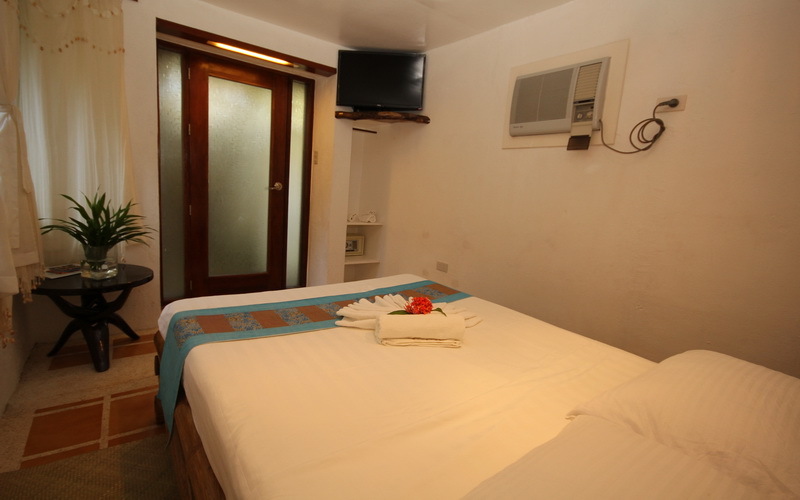 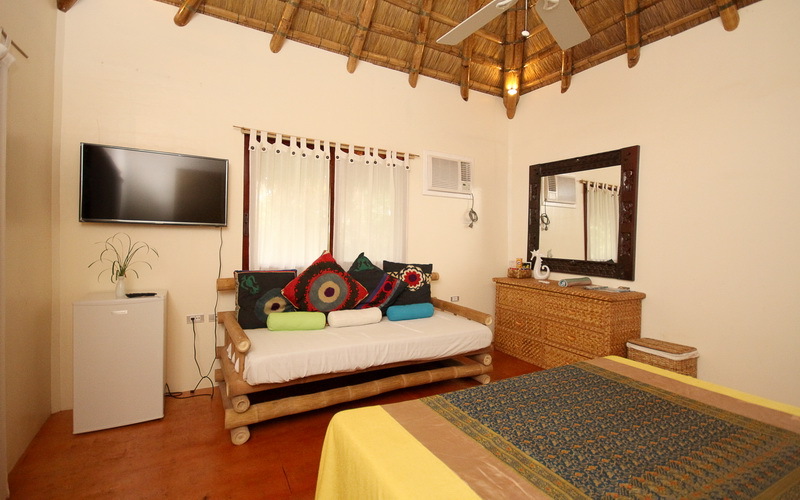 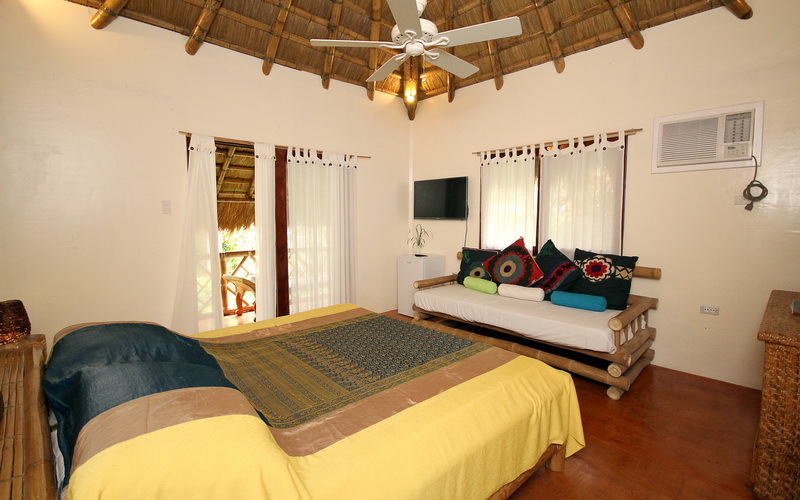 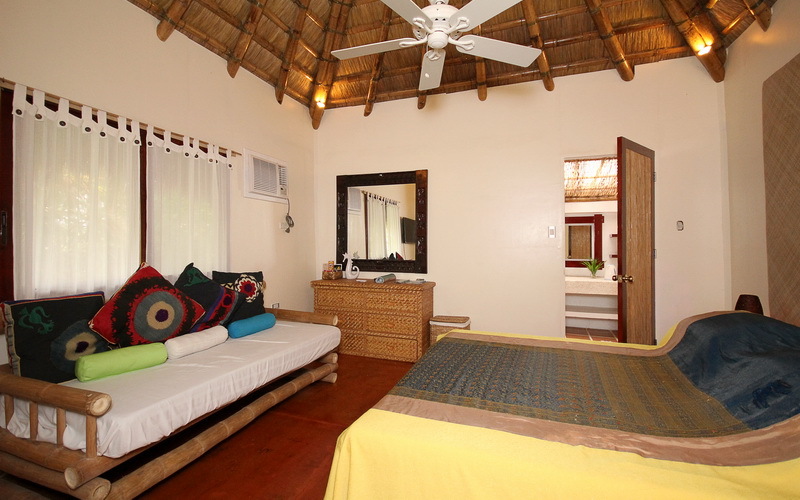 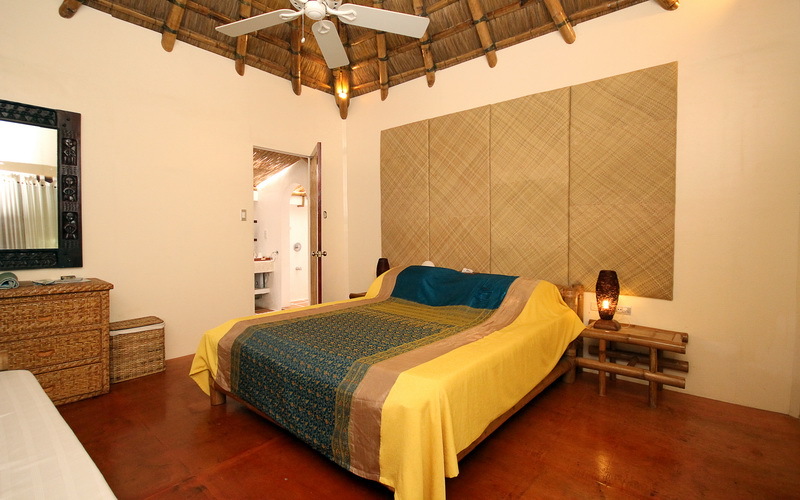 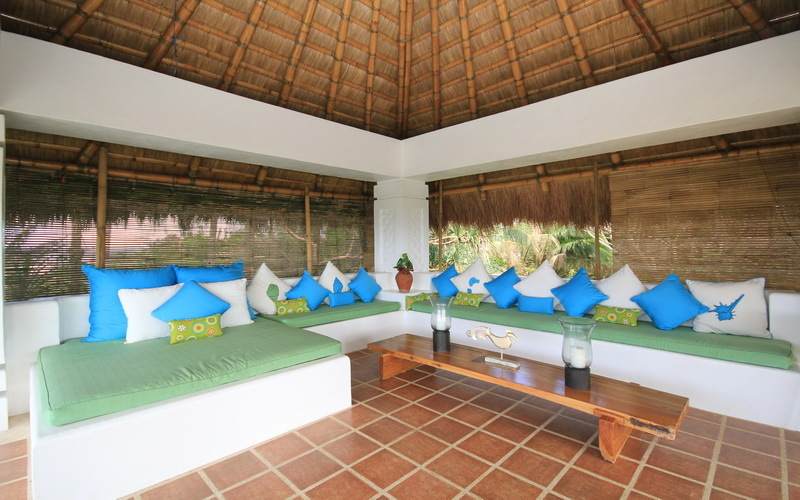 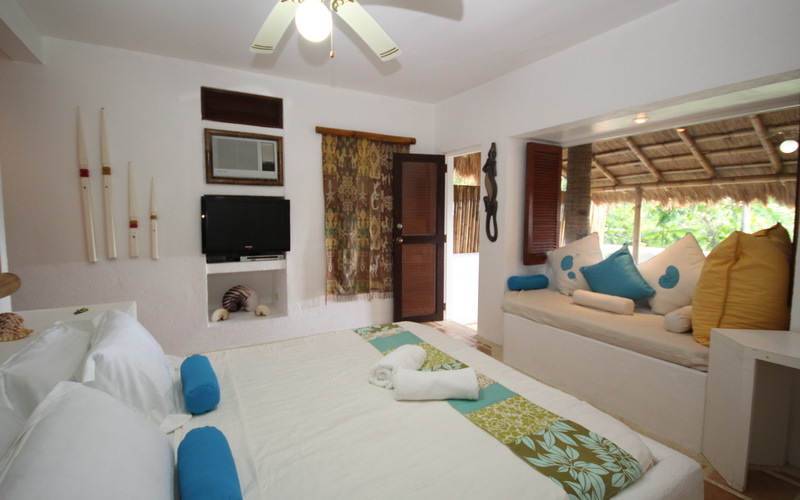 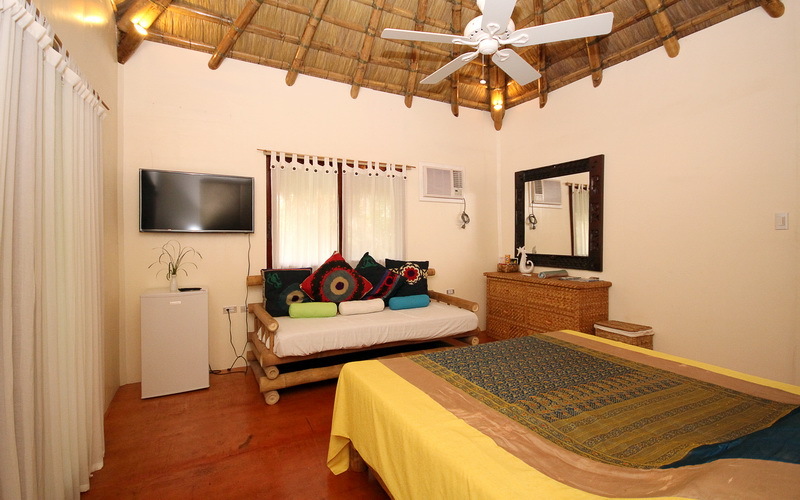 Each uniquely designed villa is air conditioned with ceiling fan, hot and cold shower, LCD cable TV, mini-bar, and outside seating area. 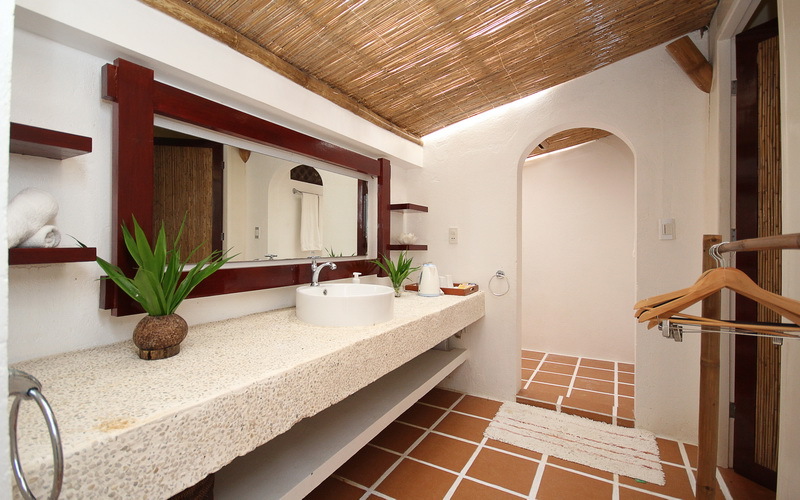 The resort also has a plunge pool and WiFi access in the common areas. 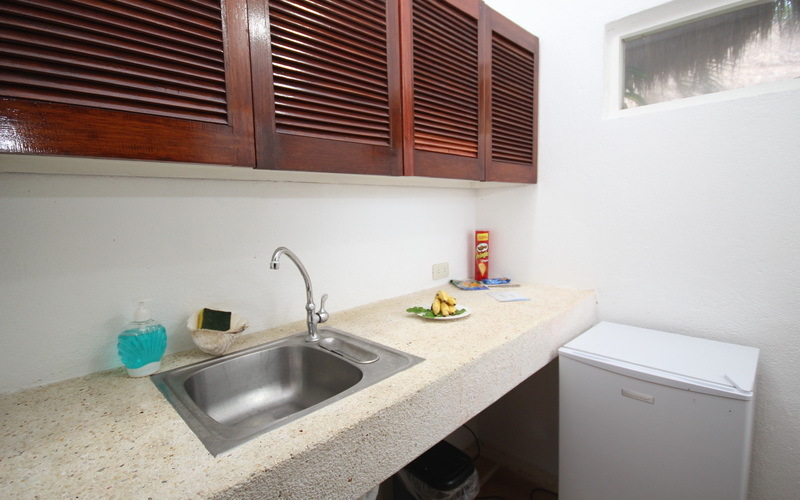 Villa Oceana is proud of its excellent service from their friendly and well-trained staff, and not to be missed is the mouthwatering cuisine made exclusively by their internationally acclaimed chef. 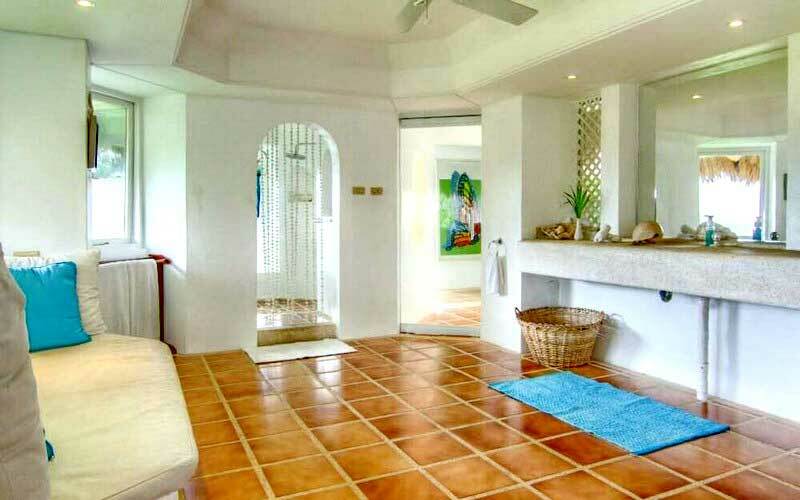 Villa Sirena measures 25 square meters. 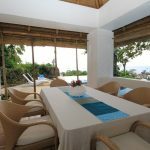 This elegant villa has a garden view and it's equipped with a sofa bed, Double bed, cable TV, DVD player, in room safe, air conditioning, refrigerator, seating area and a private bathroom. 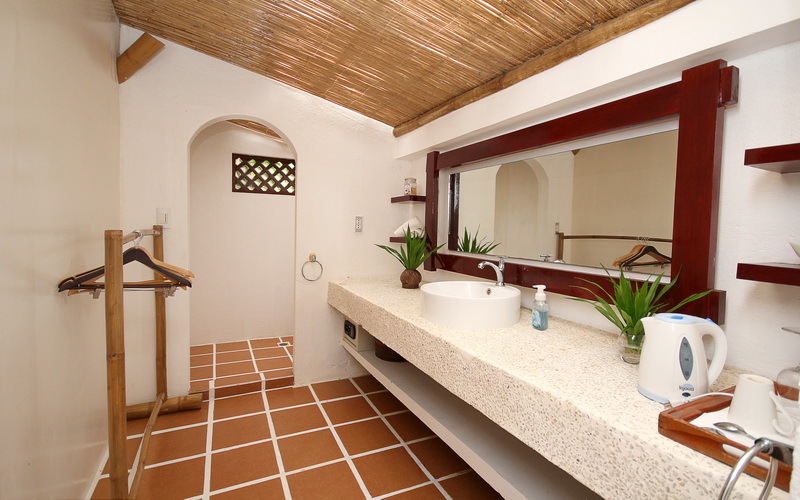 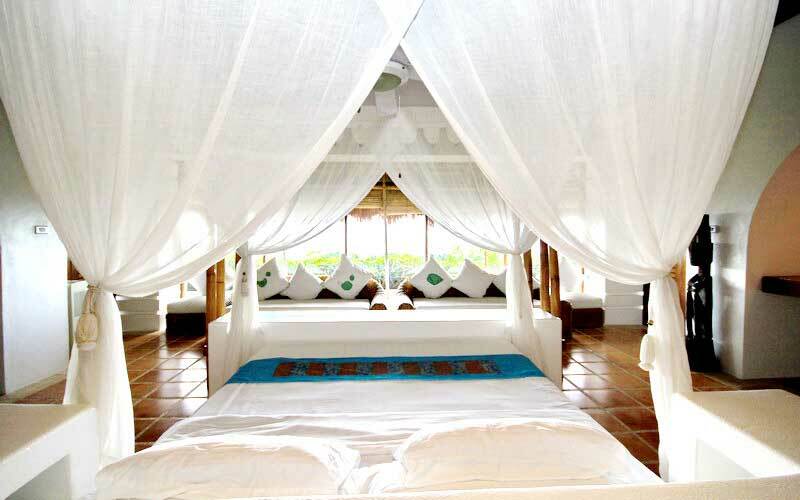 Villa Isla measures 23 square meters. 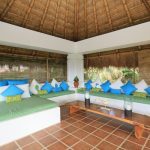 This lovely villa is equipped with a balcony, terrace, cable TV, in room safe, air conditioning, seating area, bathroom, fully equipped kitchen, dining area, outdoor dining area and patio. 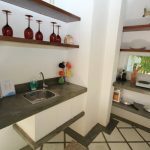 Villa Mika measures 35 square meters. 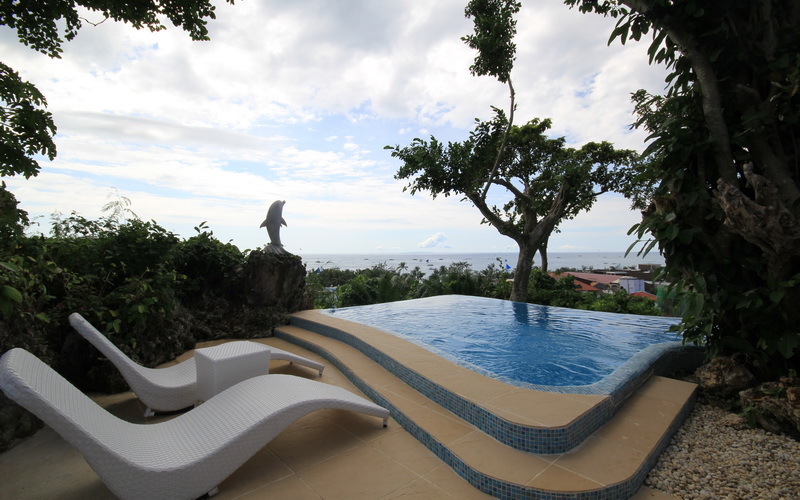 This lovely villa has an ocean and garden view and it's equipped with a sofa bed, Double bed, kitchen, balcony, terrace, cable TV, DVD player, in room safe, air conditioning, refrigerator, indoor and outdoor dining area, seating area and a private bathroom. 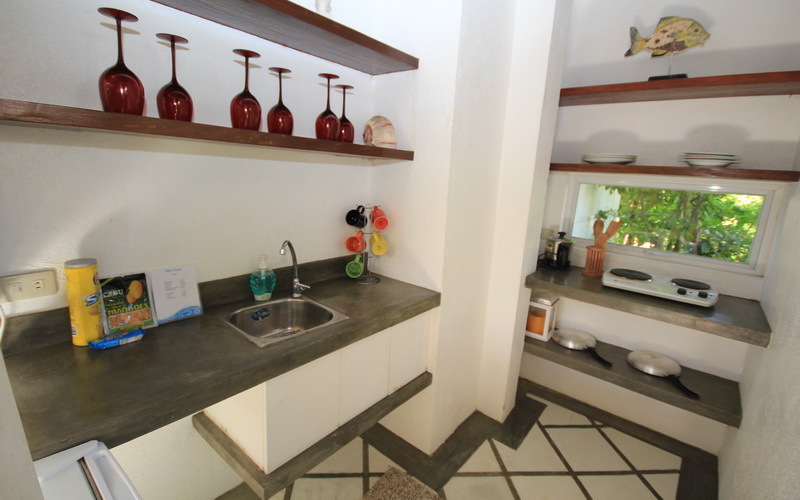 Villa Sol measures 50 square meters. 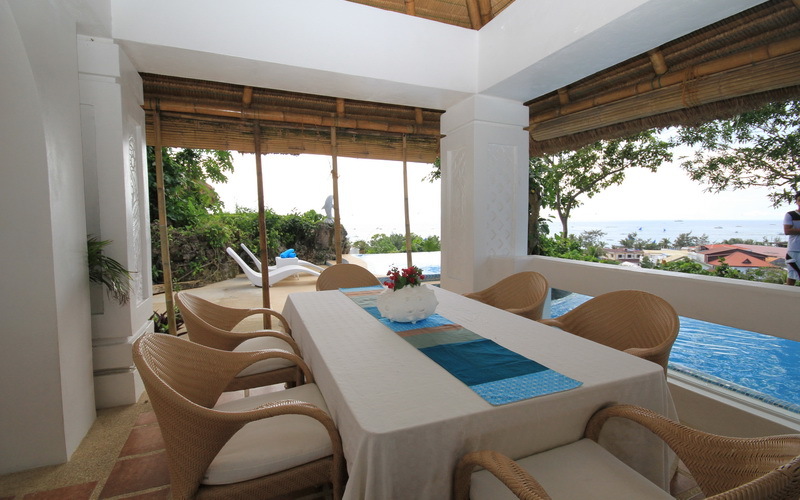 This lovely villa has an ocean view and it's equipped with a sofa bed, Double bed, kitchen, balcony, terrace, cable TV, DVD player, in room safe, air conditioning, refrigerator, indoor and outdoor dining area, seating area and a private bathroom. 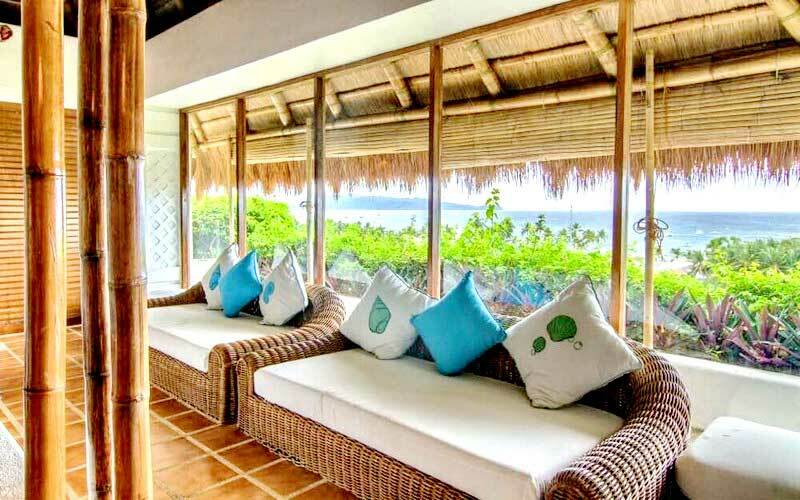 Villa Oceana is a secure and private compound with panoramic views of the ocean from a cliff and a 5 to 10-minute stroll down to White Beach. 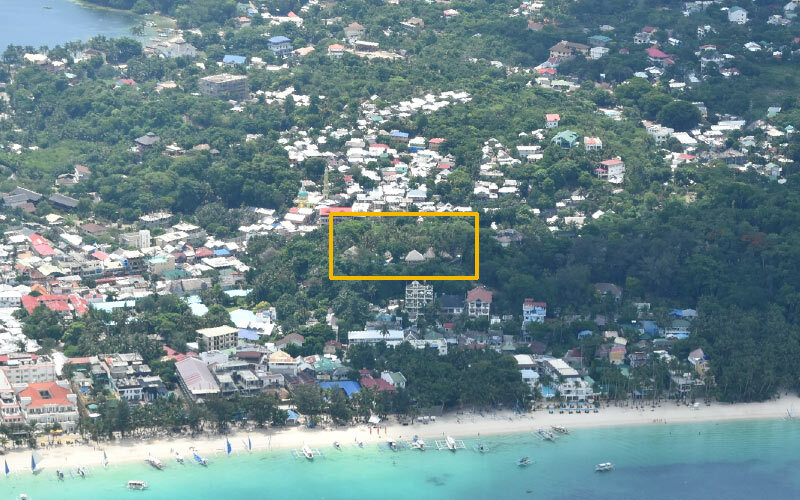 There are 4 villas in the compound. 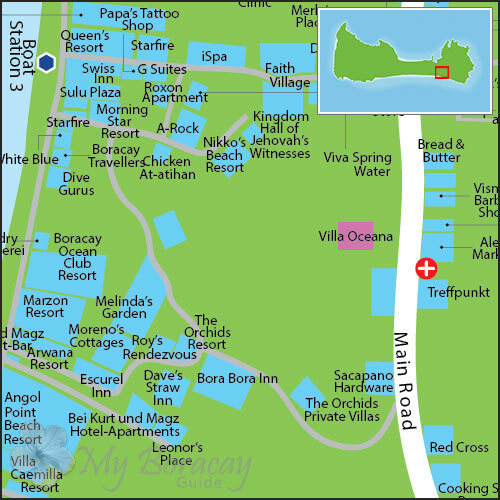 The entrance to Villa Oceana is located on the main road in Sitio Ambulong, near the alley going to Boat Station 3. 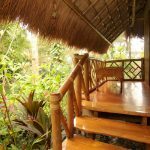 From the port, ask the tricycle driver to bring you to 'Sespeñe Trading' in Ambulong and directly across the road is a white gate and a Villa Oceana sign, please follow the stairs all the way up to the very top. 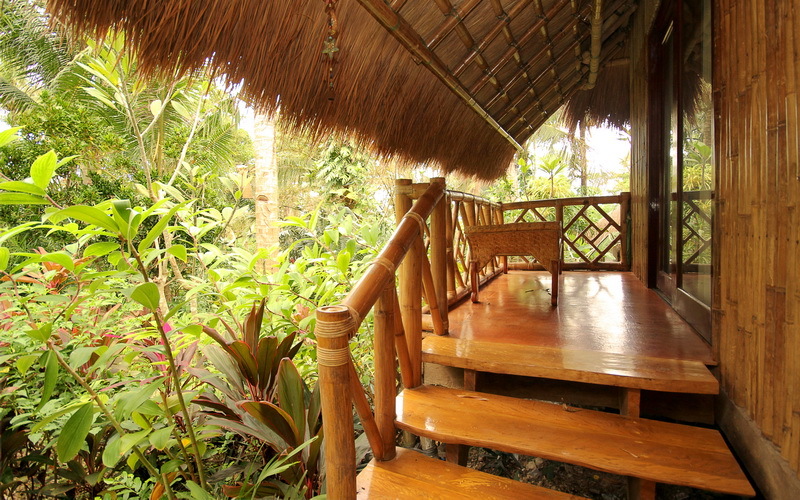 Breakfast choice is available upon request. 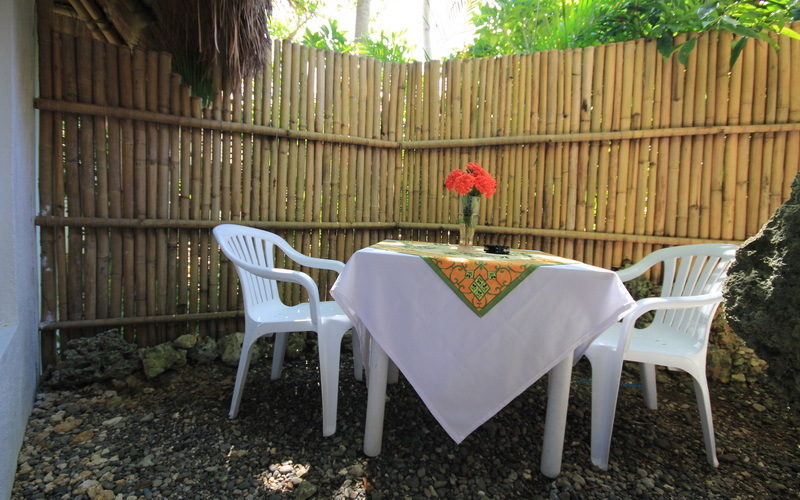 Additional breakfast for a child is 150 PHP. 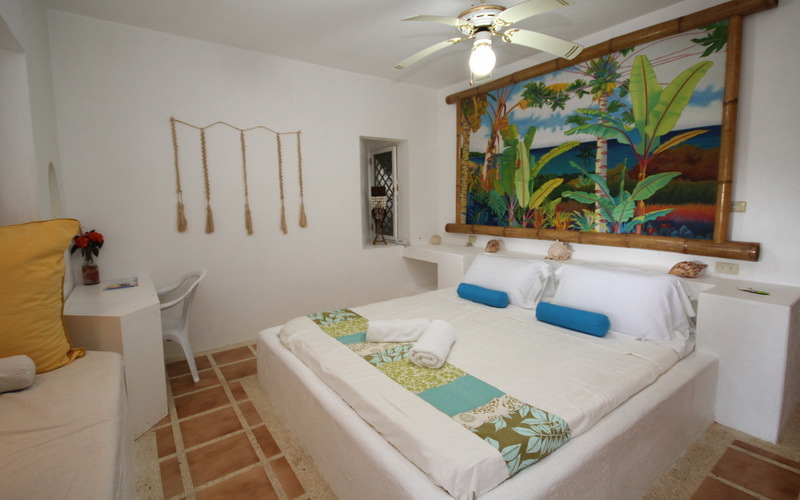 A child 12 years old or below is free of charge sharing existing bedding, without breakfast. 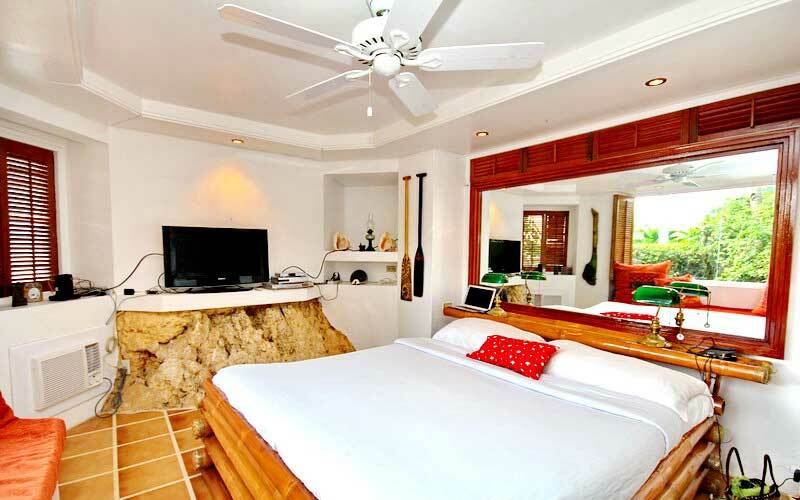 Villa Oceana has free Wi-fi internet in the villas. 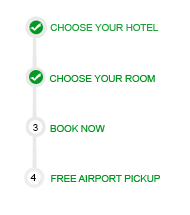 Check-in time is at 12:00 noon and check-out time is 10:00 AM.